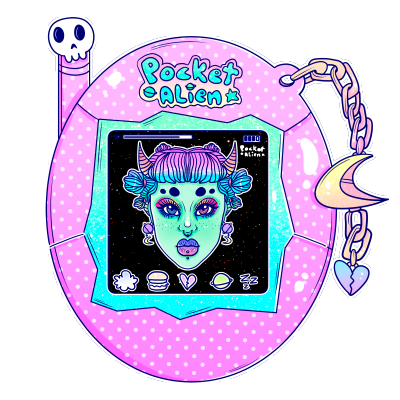 I am an illustrative artist who specializes in creating character art; drawing inspiration from alternative and punk fashion, culture, and lifestyle. I love kawaii and pastel art! Help support my art endeavors monthly by helping find my art materials and labor costs! Even a few dollars would be a HUGE help! Donators will receive access to exclusive illustrations, printouts, tutorials, and receive personalized art packs, originals, stickers, and other goodies in the mail! I will also be uploading more speed paints to my youtube channel as my patreon grows. The more support I receive, the less time I have to spend working my part time jobs, and the more time I can dedicate to art! Every donation helps me progress! Patrons will also receive exclusive access to live drawing and painting video streams. ✨I will be eternally grateful! ✨I will also provide you access to exclusive patreon art, FAQs, and speed paint videos I do not share anywhere else! ✨I will send you an handmade sticker pack in the mail for each month you support me! ✨I will send you a special print+stickerpack in the mail for each month you support me! If my goal is reached, I can pay my monthly health/dental insurance without having to work extra hours!